Videogames are an excellent medium for telling stories and exploring difficult ideas. Jack’s adventure through Rapture in the first Bioshock lets us think about the nature of free will and the dysfunctional politics of Ayn Rand. There’s Tim’s quest in the beautiful Braid, which deals with issues surrounding love, romance and loss. And, of course, the representation of man’s internal struggle between selfishness and society in the highly involved and often misunderstood art-game Pong. 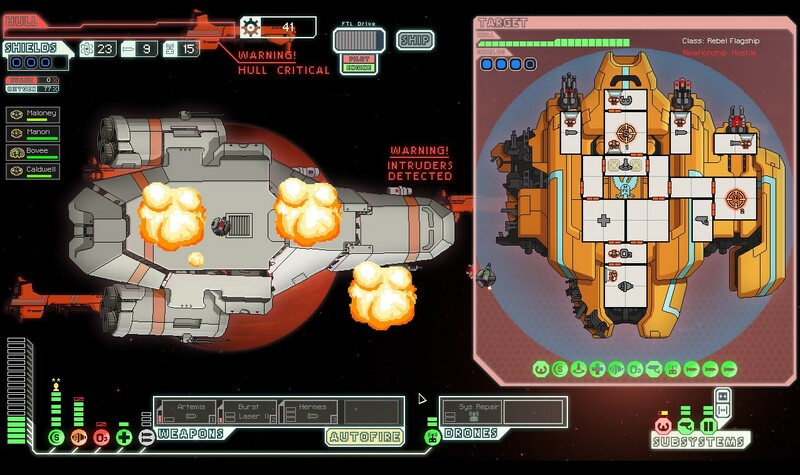 FTL: Faster Than Light is a top-down, real time spaceship simulation rougelike-like. As you are chased across a procedurally generated galaxy you will fight enemies and have random encounters, and you must micromanage your ship (energy, shields, engines, weapons etc) and crew each time. You can upgrade and repair your ship for scrap, or trade it for better weapons and abilities (eg. teleportation or cloaking devices). Ultimately you are on a quest to defeat the Rebel flagship and restore peace to the Galaxy. FTL also has a strong message to convey: no one cares about your weak biological frame and you will die a horrible death asphyxiating in the freezing vacuum of space, or by being set on fire, or by being crushed by a giant robot, or through all these simultaneously. Important lessons for us all. But so what? We’re used to death in games, dying all the time with barely a shrug. Reload and continue, lesson learnt. Forgot to save? The autosave feature takes you back 10 minutes. A little more frustrating, but there’s still no real jeopardy. Make a huge mistake? Go back further, reload an even earlier save. Death holds little significance and less mystery. Let’s go back to a simpler time, when the Wiimote was just a glint in Shigeru Miyamoto’s eye: the mid 1990s. One of my favourite things to do as a kid was to play the lightgun games they had at the local bowling alley. 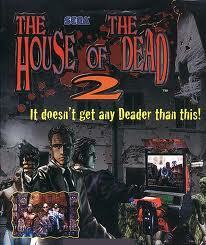 The House of the Dead 2 was a favourite (tagline: “it doesn’t get any deader than this”, though of course it did, it got even more deaderer in the sequels). A credit to play was 50p, and you got three lives. 50p was a lot of money when you’re a child (and remains a lot of money when you’re a poet) so you’re keen to get as much out of the game as possible – especially if that was your only 50p. I remember the tension of playing those games as a sort of positive stress – you know you will fail, but at what point? This made the experience much more intense, and meaningful for it. 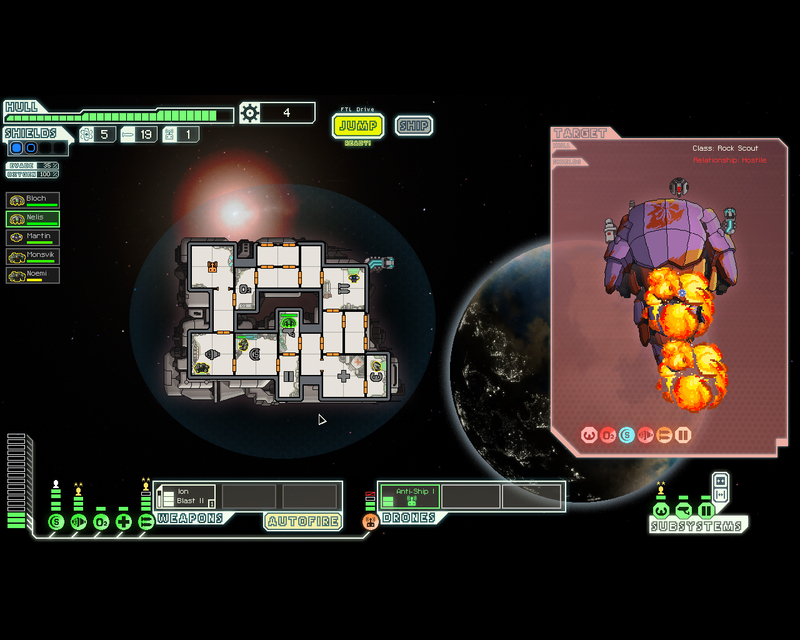 The roguelike features of FTL – random level generation, permadeath, being allowed to save only the current point of your current game – reintroduces that arcade-style tension to gameplay. In FTL, your crew will die. Your crew will die a lot, and every time one of them does, a little piece of you will too. You will care about those little sprites running around your ship, because they’re all you’ve got, and you’ve only got them once. That Mantis you spent five sectors training up to be a badass warrior? Dead for eternity. The Engi who’s a ninja on shield controls? Goodbye forever. You’ll care about your ship too – take a whole heap of damage and you have to repair it, not just reload the encounter that went wrong. And, once it blows up, it’s gone – a proper game over. In FTL, there are no Star Trek style get-out clauses. You can’t reroute the tachyon flow through the warp matrix of the sci-tech jargon field generator. Permanent death means just that – no reloading, no do-overs. Your mistakes, unlike your crew, are undying, and more often than not they lead to your destruction. It doesn’t sound like a lot of fun. But it is: though harsh, the game is not unfair. If you take massive damage and your crew dies, it’s more often than not your own fault. You over-stretched. Took on a too-powerful enemy. Accidentally forgot you had a raiding party on an enemy ship when you blew it up. You will fail from your own mistakes, but you will learn and get better – and feel good about it. You’ll start a new game, determined to get to the Rebel boss that’s messing up your galaxy. And you’ll have stories to tell. Action games rarely let you get so involved. Sure, you pressed A to place the bombs, run over there, pulled a trigger to set them off, and are now watching some buildings explode – but there’s a disconnect, and it feels like you didn’t really make that happen. It’s all visual, and the result of being told what to do by the game. 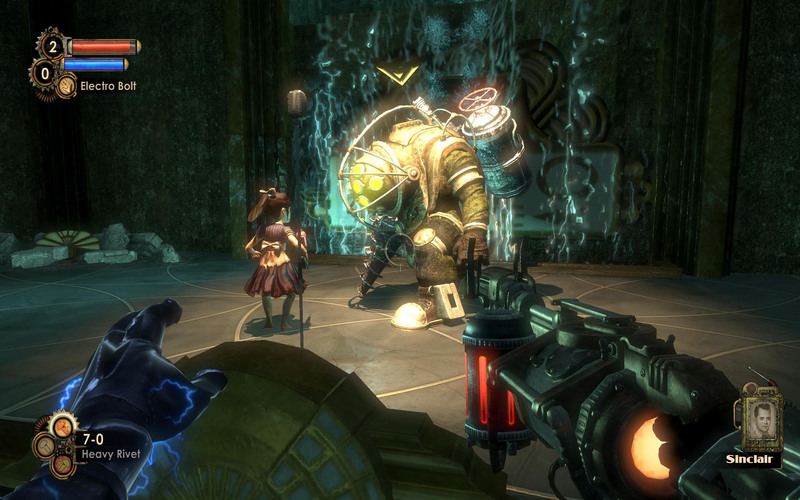 Even Bioshock (which I think is an incredible game) is incredibly linear. That is sort of the point and it’s well made, but even your big choice – to harvest or save Little Sisters – is ultimately a false one. You get a slightly different cutscene at the end, depending on what you did. There’s nothing wrong with this approach to a game, but I struggle to get as much fulfilment out of them as I do with a strategy game like FTL. It’s like Football Manager: you spend hours trawling stats, looking at transfer markets, working out training routines and set-pieces for your players. It’s a huge investment of time – more like work than gaming. But when you’ve managed your no-name team from obscurity to the Division 2 playoff final, and you bring on your last substitute, and he scores a goal in the 93rd minute…I admit that I have raised my arms above my head (fiero! ), run around the house and danced with happiness. It’s why FPSs are much better in multiplayer mode – actually, many games are better in multiplayer mode: prosaically, playing against other people is much more of a test – we’re still generally more unpredictable than AI. But more interestingly, we like to show off, tease, triumph – and other humans are much more receptive to that than a computer. Basically, we like to create and tell our own stories. We can talk about playing a Bioshock or a Braid, but our experiences will be similar – if not the same. We’re being told a story by developers like a parent would read a fairytale to us before bed. But no two games of multiplayer Halo are the same, and from that we create our own narratives: stories of epic comebacks, tragedies of last-minute losses, comedies of pwning the same guy repeatedly with an energy sword. Practically, we can’t always play games with our friends – and sometimes we want solo time. 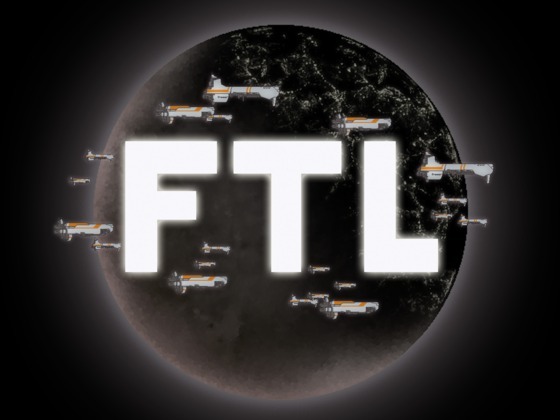 From the simple, high-risk mechanics of a roguelike game, FTL lets you to create the kind of stories usually reserved for multiplayer gaming and offers a perfect balance of jeopardy and reward. FTL is inexpensive and infinitely replayable. Go buy it. Oh! Have I mentioned that you will die? Dan Simpson is a spoken word poet and compère, poetry projects and events organiser, workshop facilitator and writer. He is the current Canterbury Laureate and host of The Word House in London. His poetry has featured on the BBC and London Underground, and in publications from Sidekick Books. 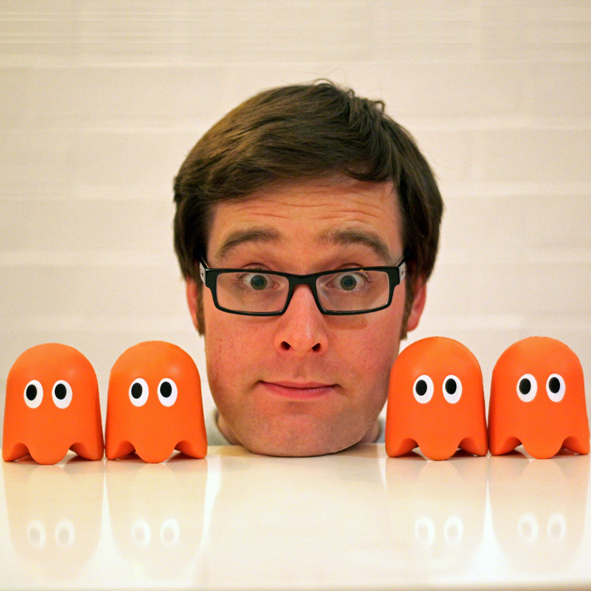 His first one-man show We Are All Orange Ghosts – about happiness, self-acceptance and the orange ghost from Pac-Man – is at the Edinburgh Fringe: 2.45pm, 3-18 August, Fiddlers Elbow. Check out his website and follow him on twitter!